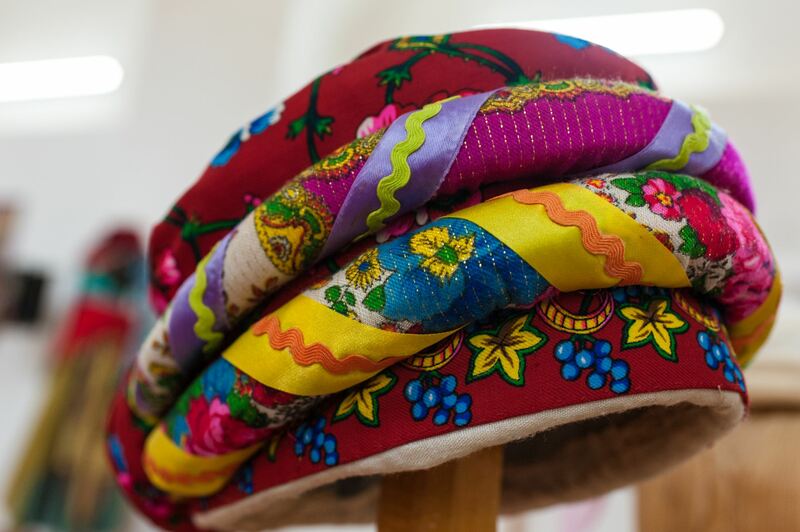 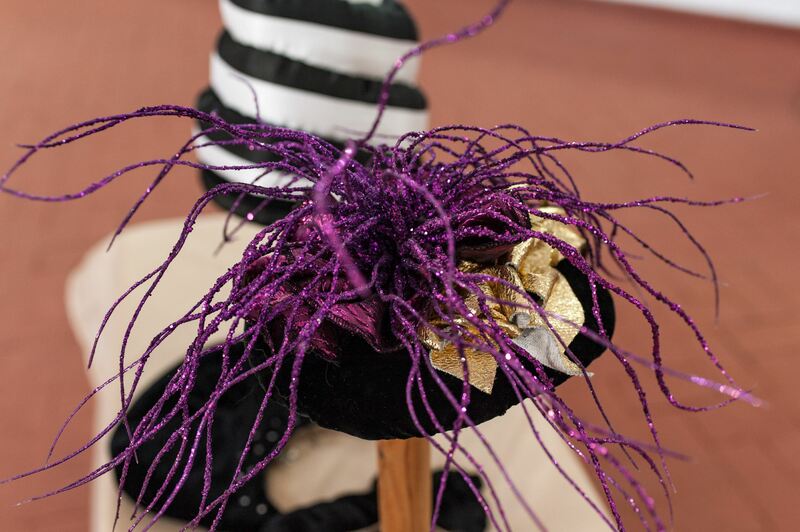 On 2 June 2018, in Uzhhorod cultural and historical centre "Owl’s Nest", it was opened an exhibition of the works of the theatrical artist, Honoured Art Worker of Ukraine Emma Zaitseva. 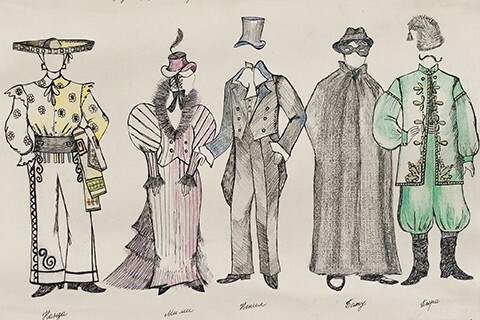 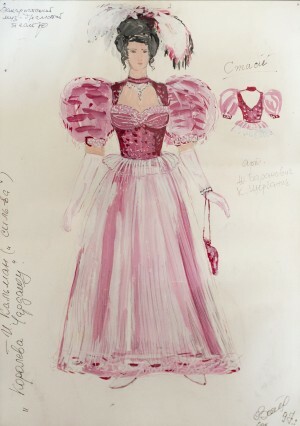 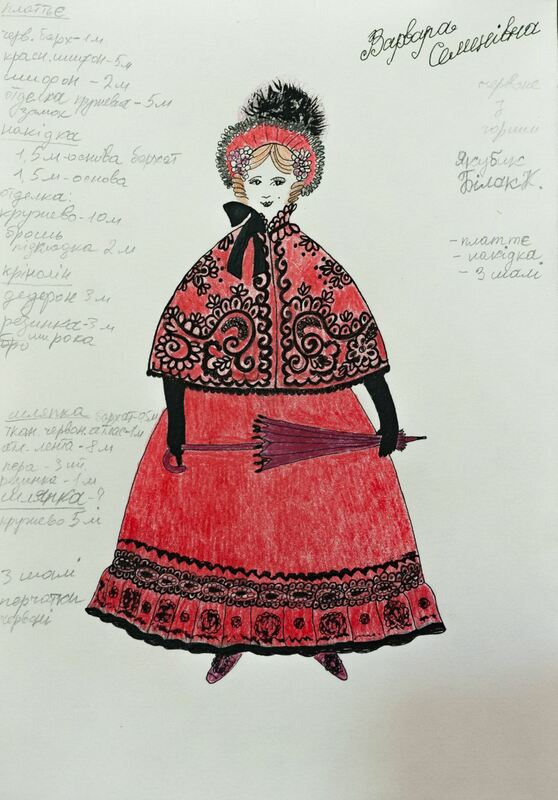 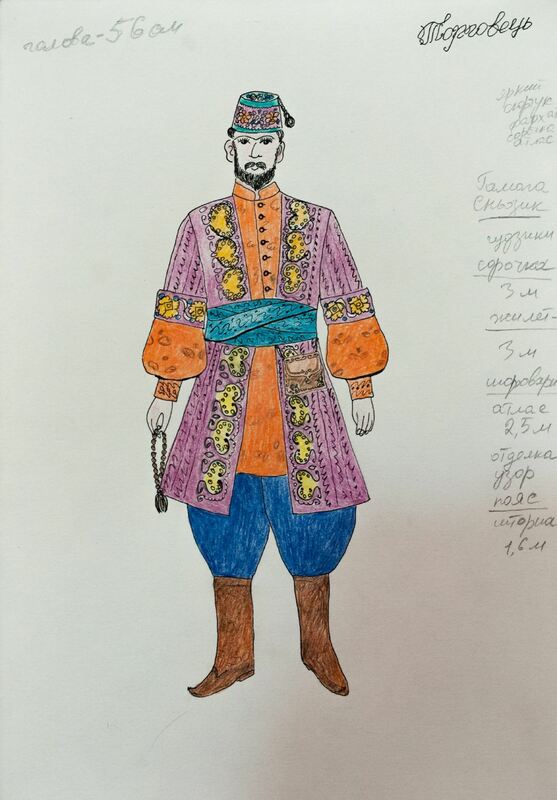 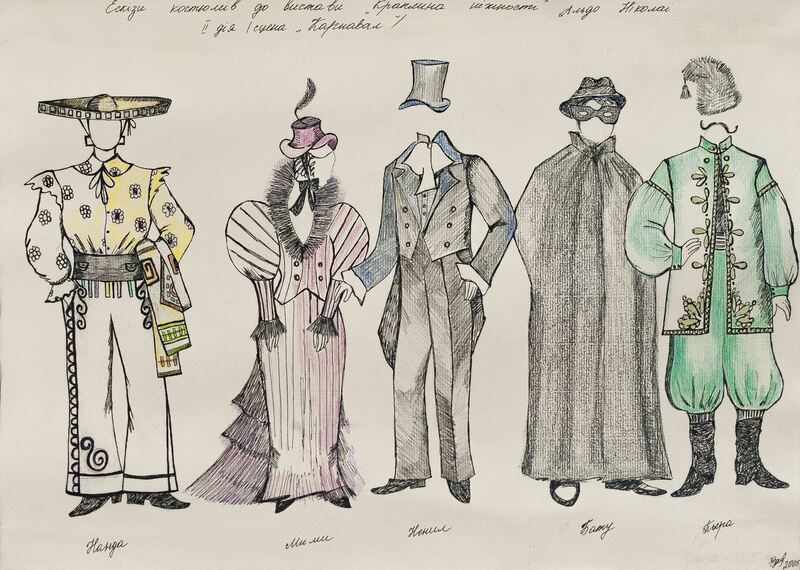 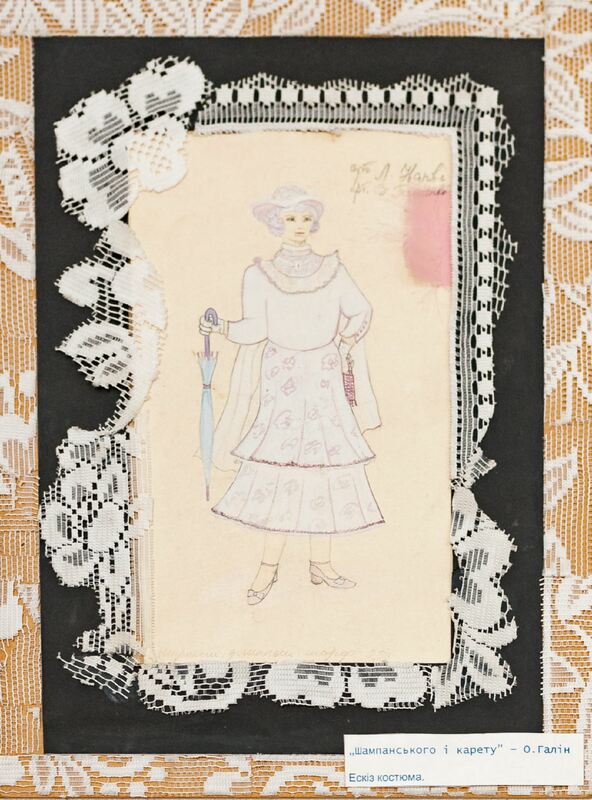 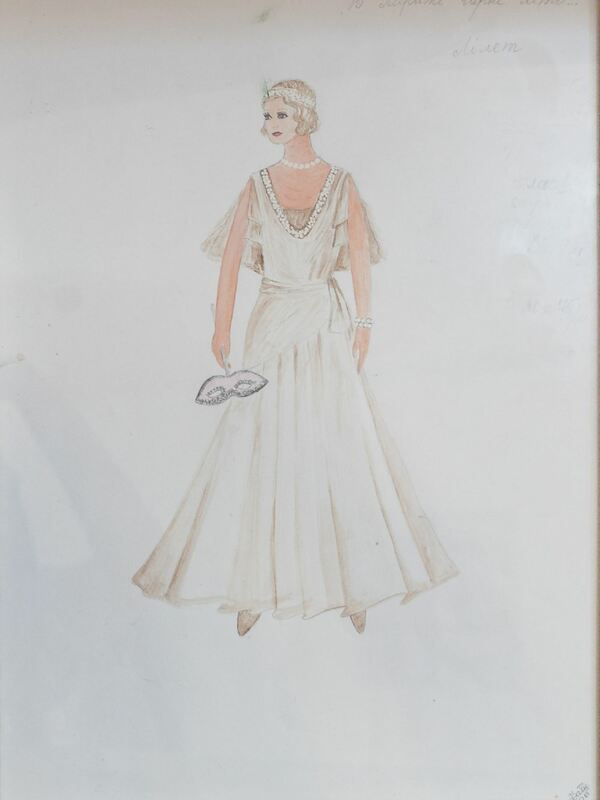 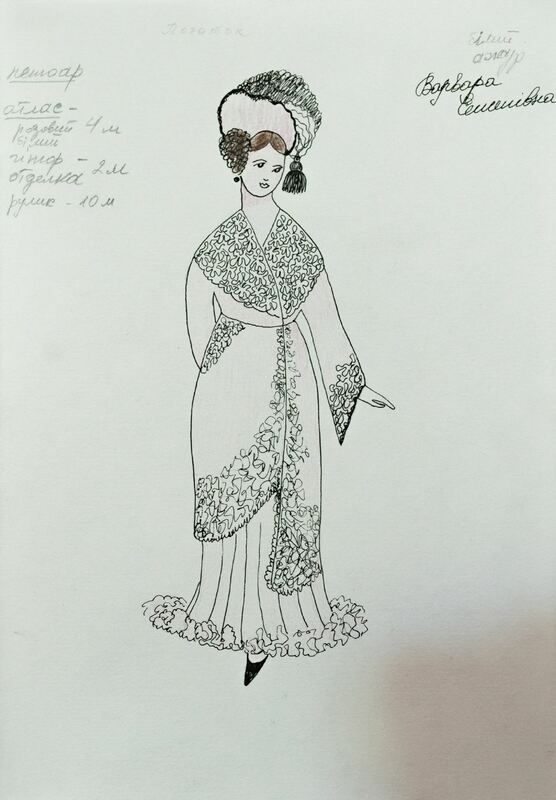 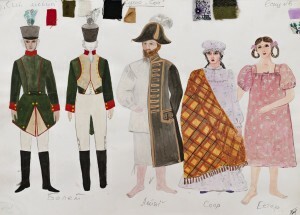 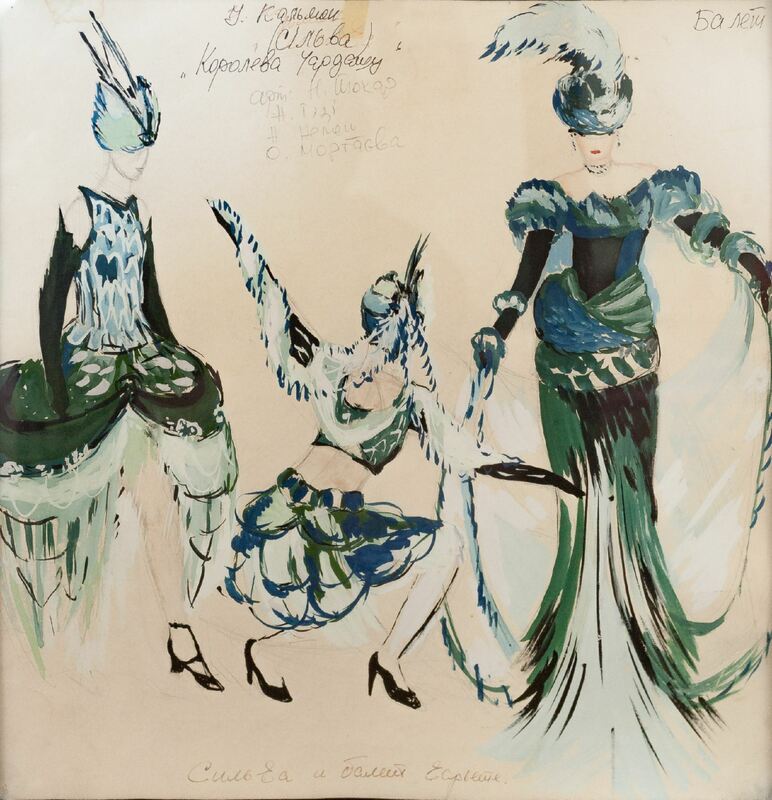 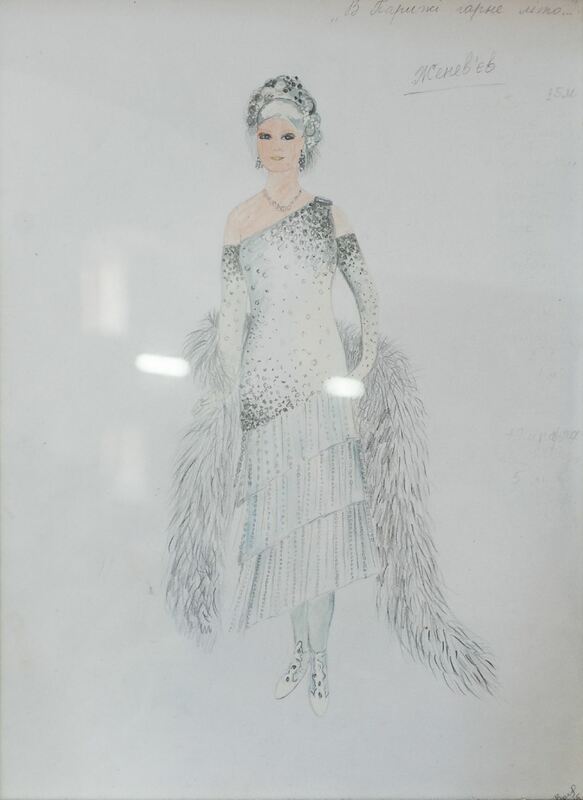 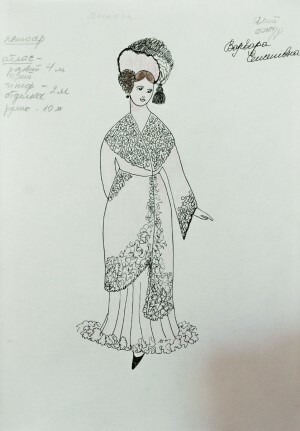 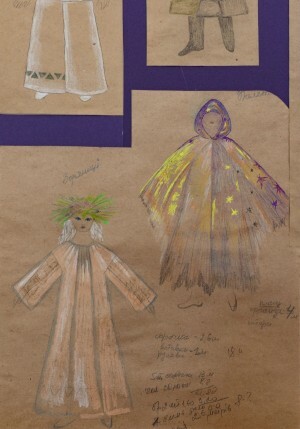 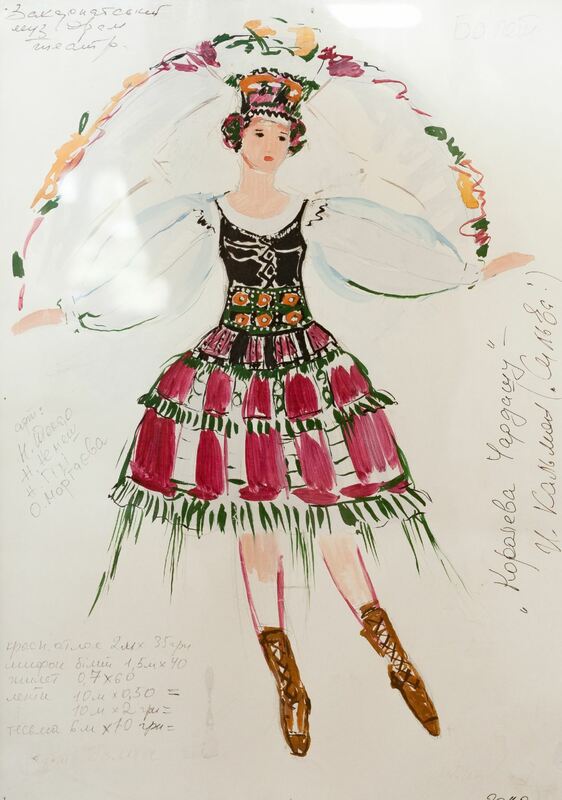 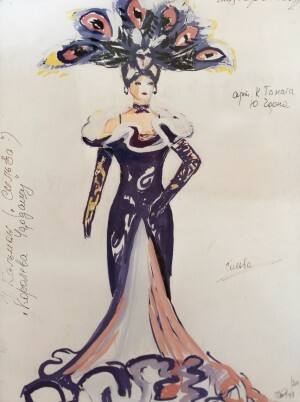 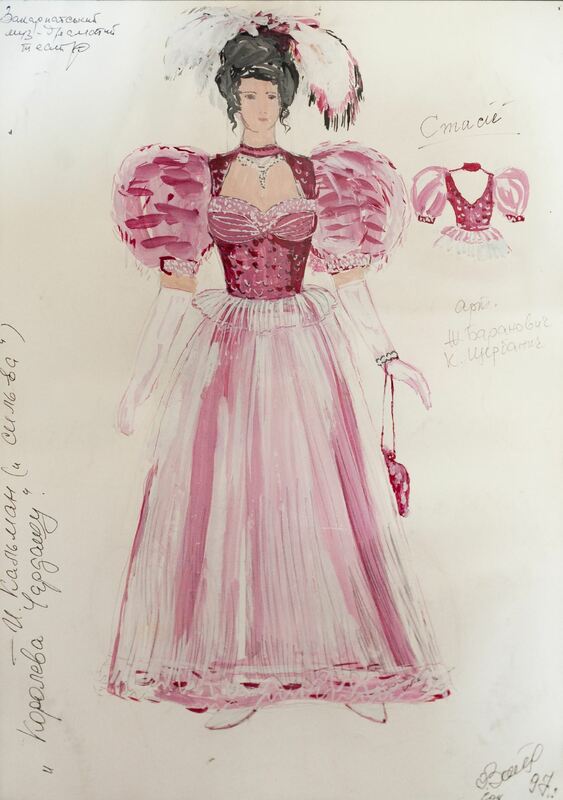 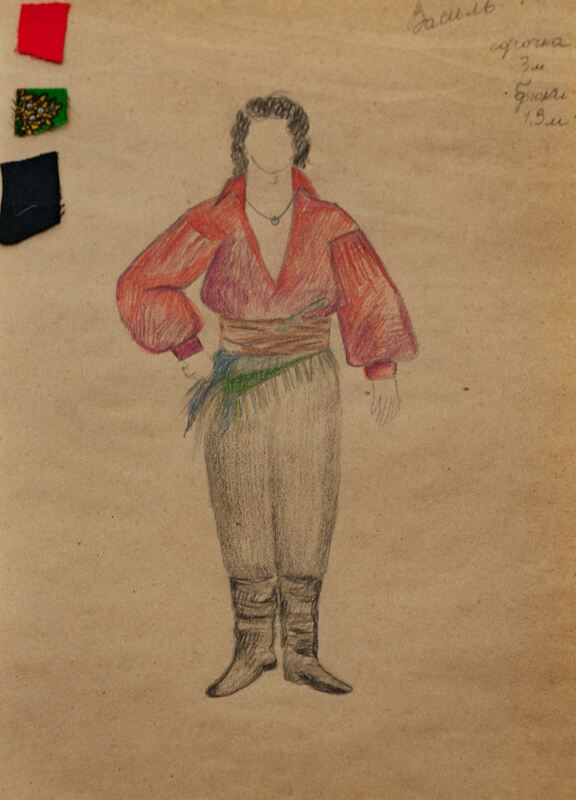 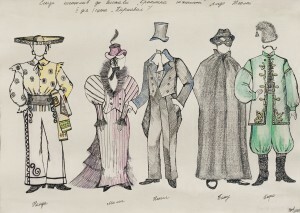 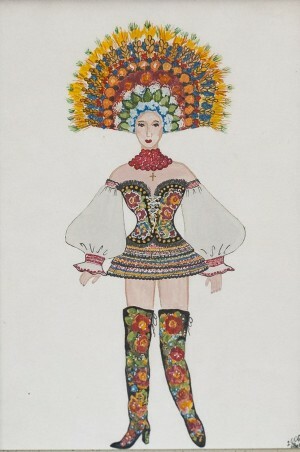 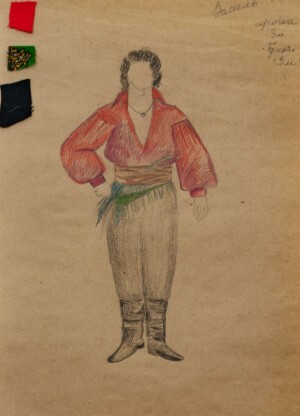 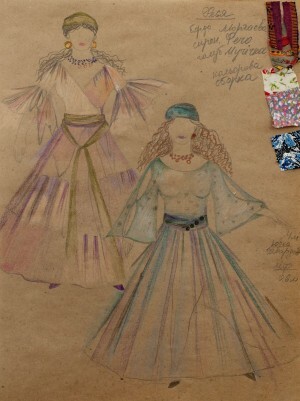 The exposition takes the viewer to the theatre: sets, costumes and sketches – everything is presented there by the master. 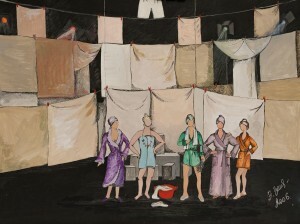 The exhibition is timed to the birthday of the artist, which she celebrated on 2 June. 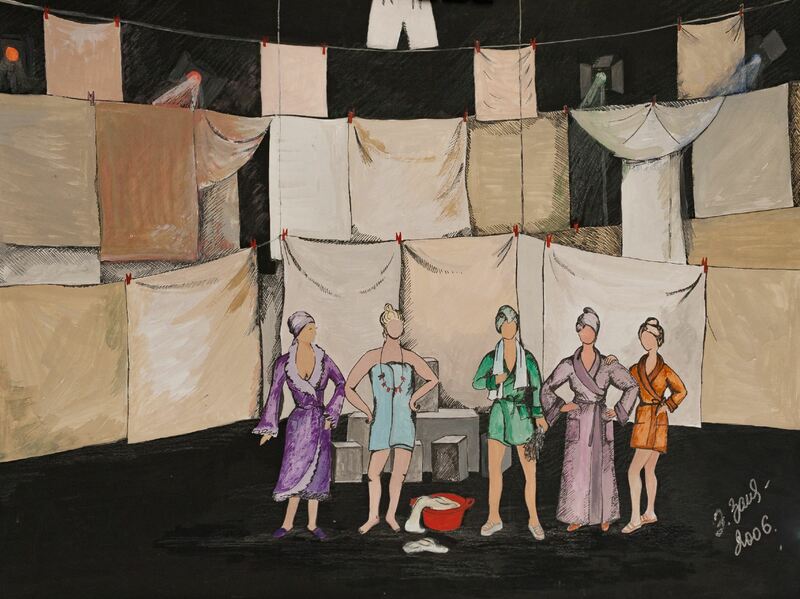 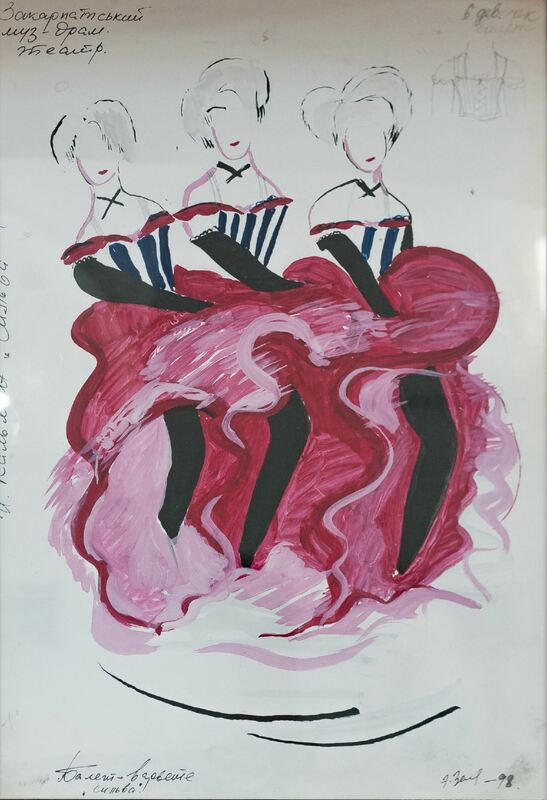 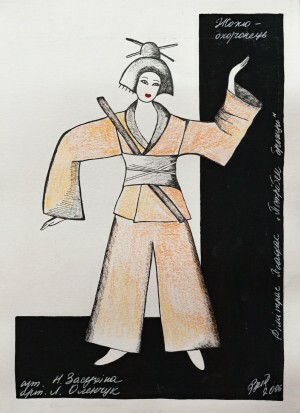 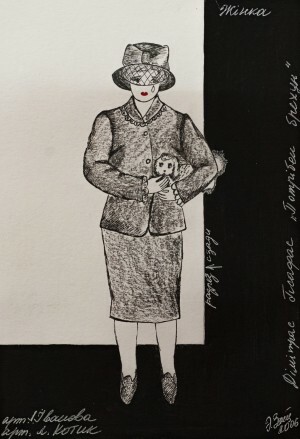 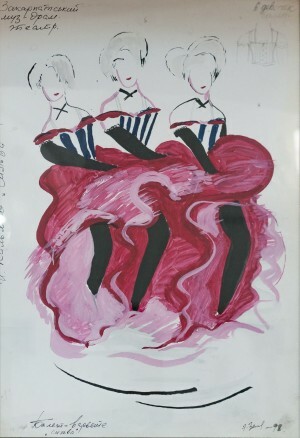 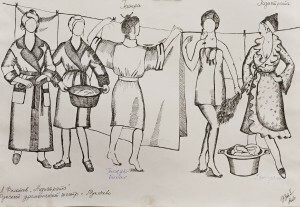 Emma Zaitseva is a painter-set designer, a member of the National Union of Theatre Workers of Ukraine, the four-time laureate of the Regional Theatre Award named after brothers Y.-A. 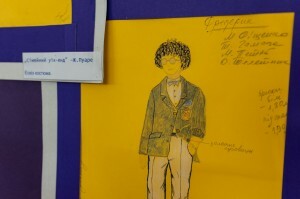 Sherehii, the laureate of the National Theatre Workers Union of Ukraine in the field of the scenography named after Fedir Nirod and other awards. 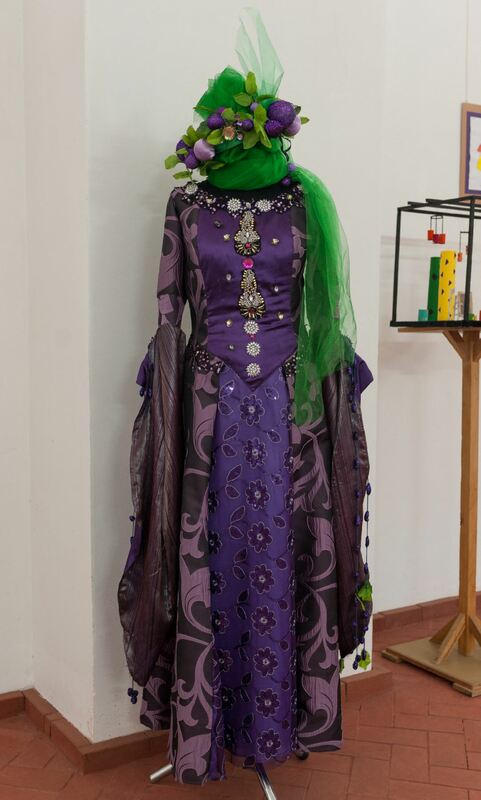 She studied at the Turkmen State School named after S. Rustaveli (class of Donatar Charyiev) and at Rivne State Humanitarian University. From 1998 till today – the chief artist of Transcarpathian Academic Regional Ukrainian Music and Drama Theatre named after brothers Serehii. She is the author of the sets of about a hundred theatrical performances and concerts on the stages in Uzhhorod, Rivne, Mukachevo, Kyiv, and Dnipro. 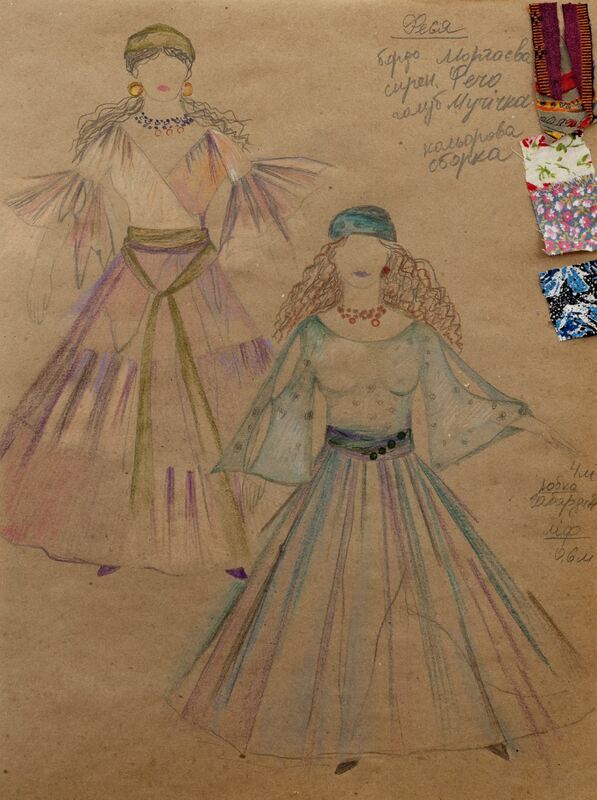 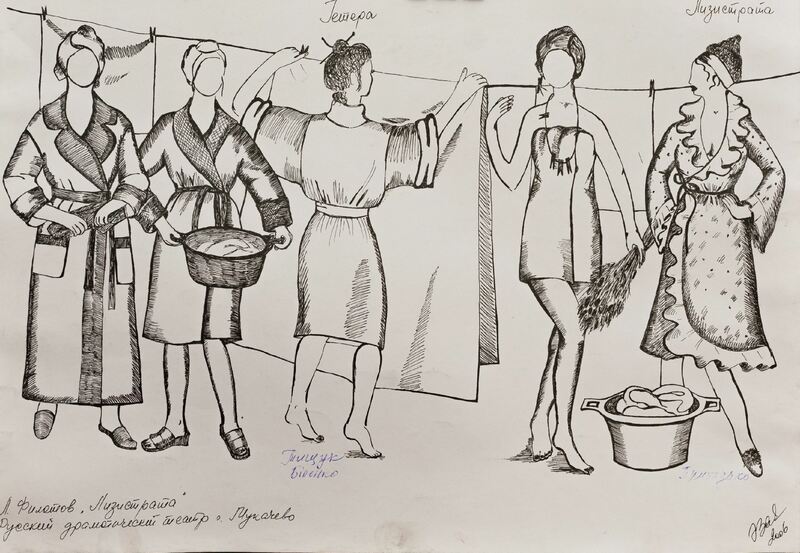 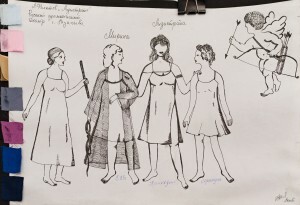 "Sketches of Life" is a summary of 20-year-old work by Emma Zaitseva in the regional music drama theatre named after brothers Sherehii. 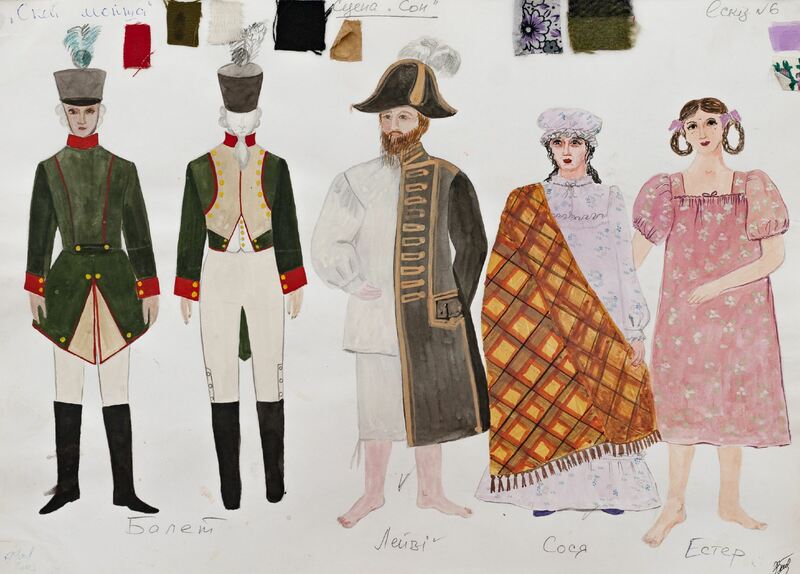 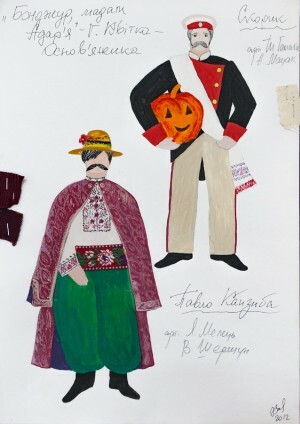 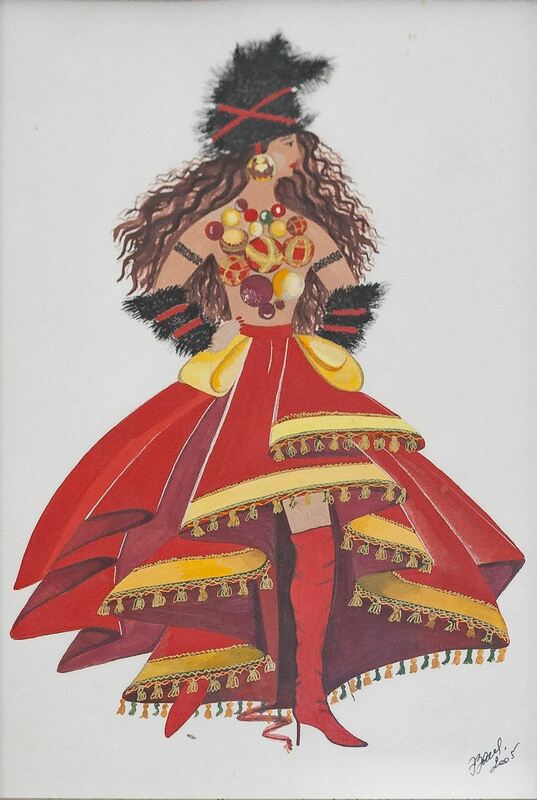 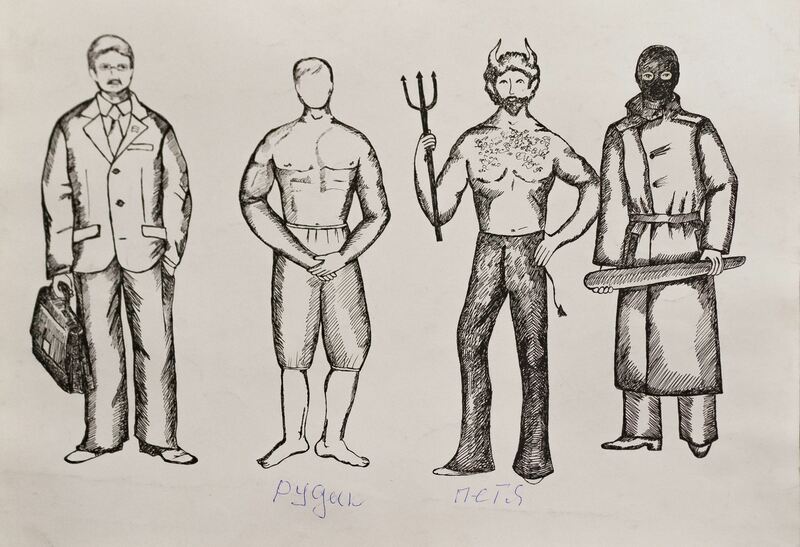 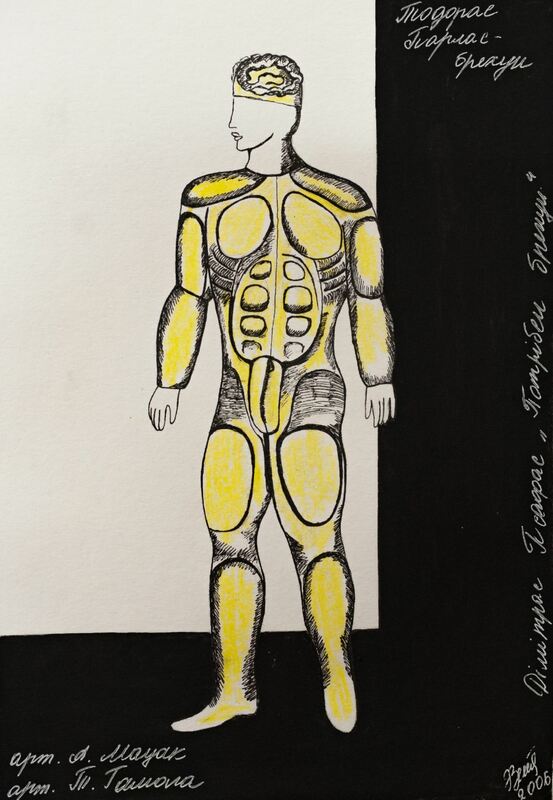 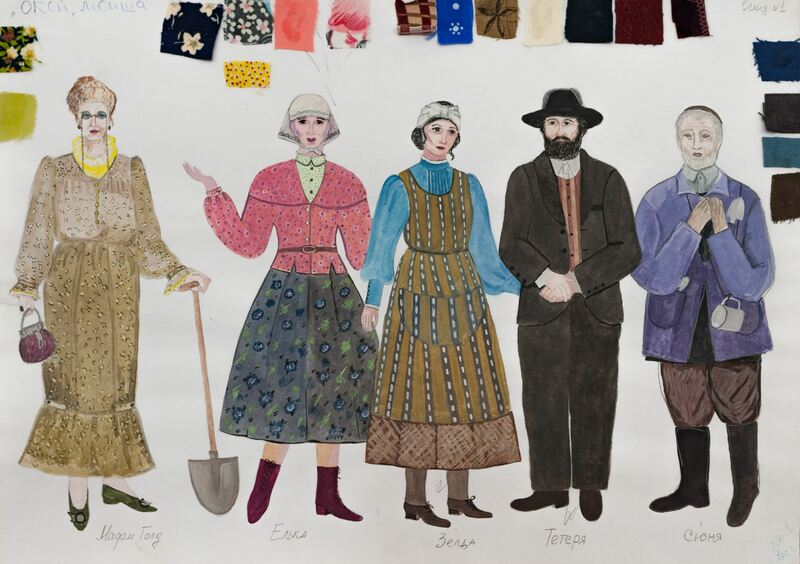 "The presented exposition consists of the models for performances and theatrical costumes as well as sketches for them,” the artist says. “All these performances were held in our theatre since 1998, so this is a kind of summary of my work." 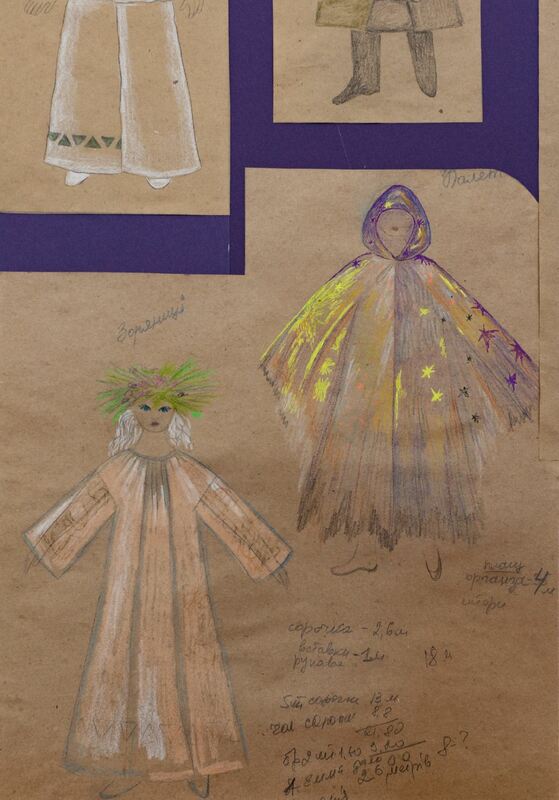 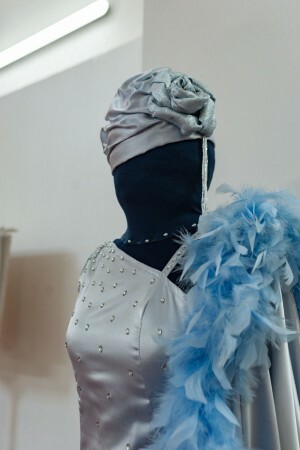 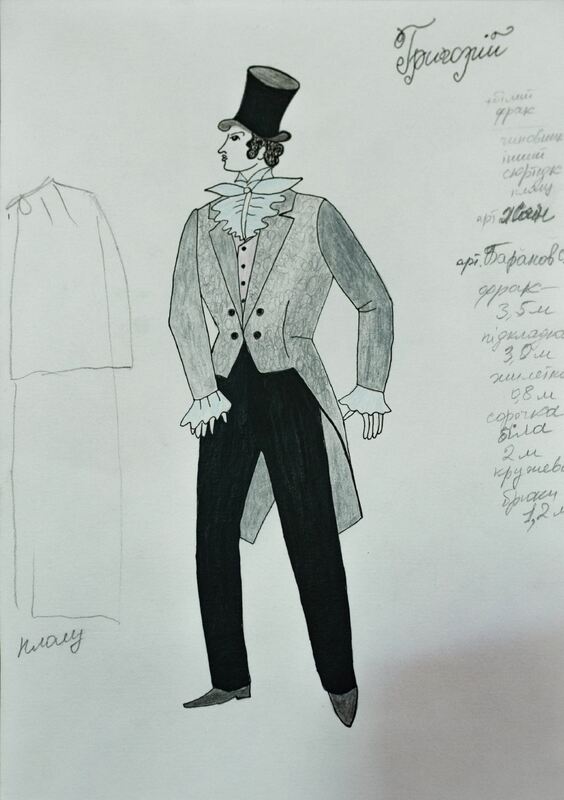 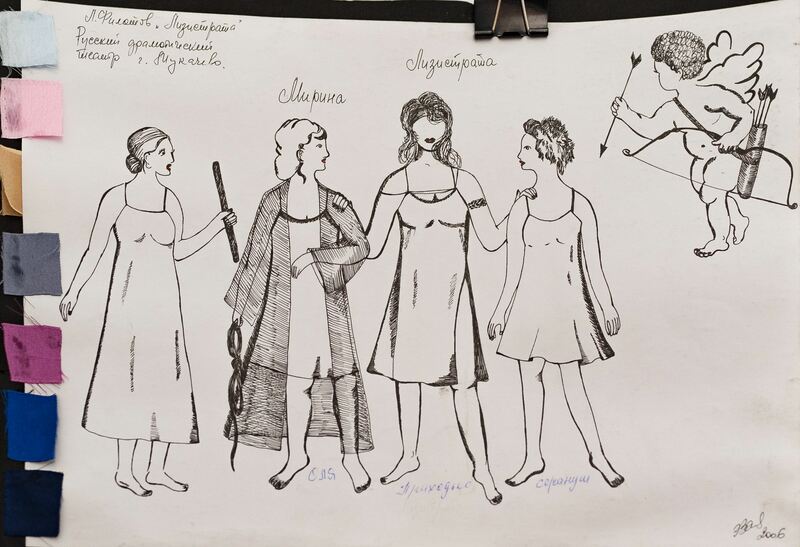 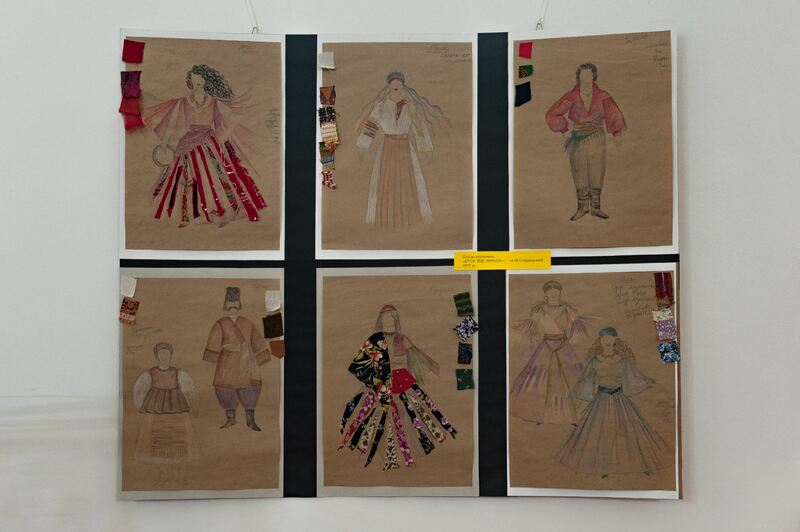 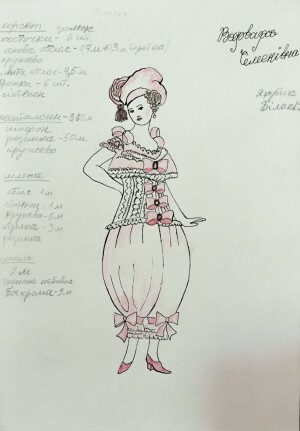 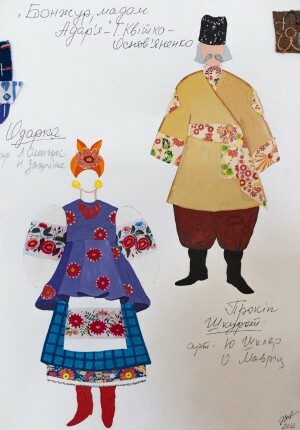 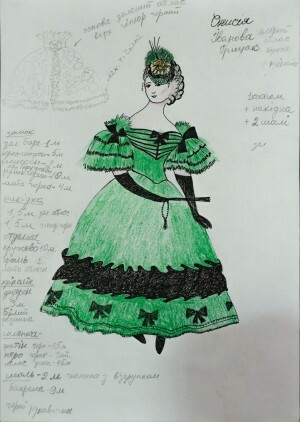 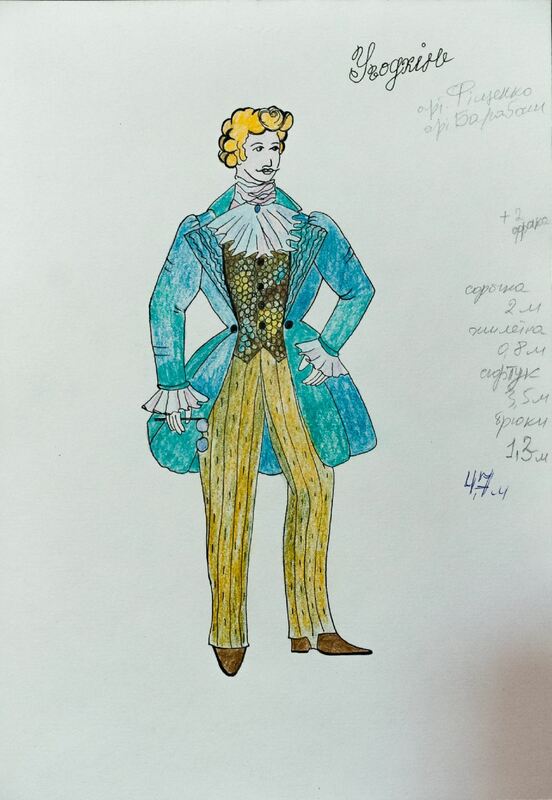 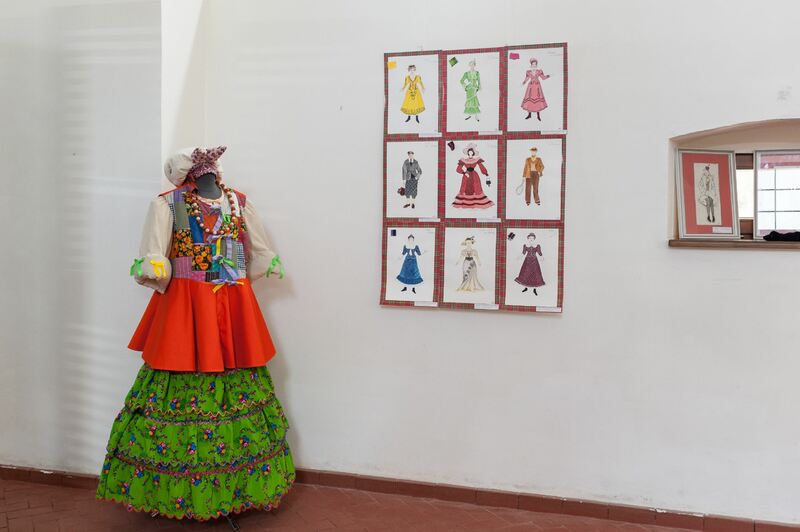 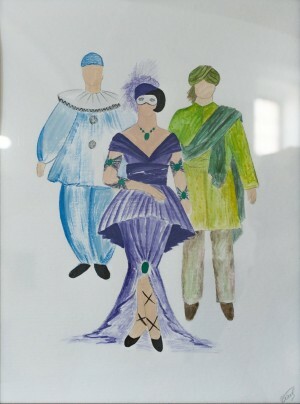 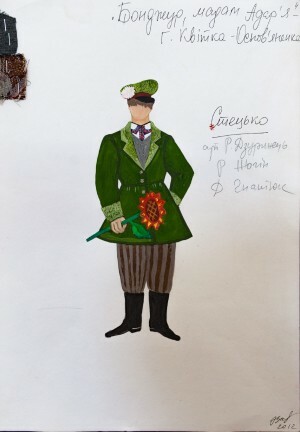 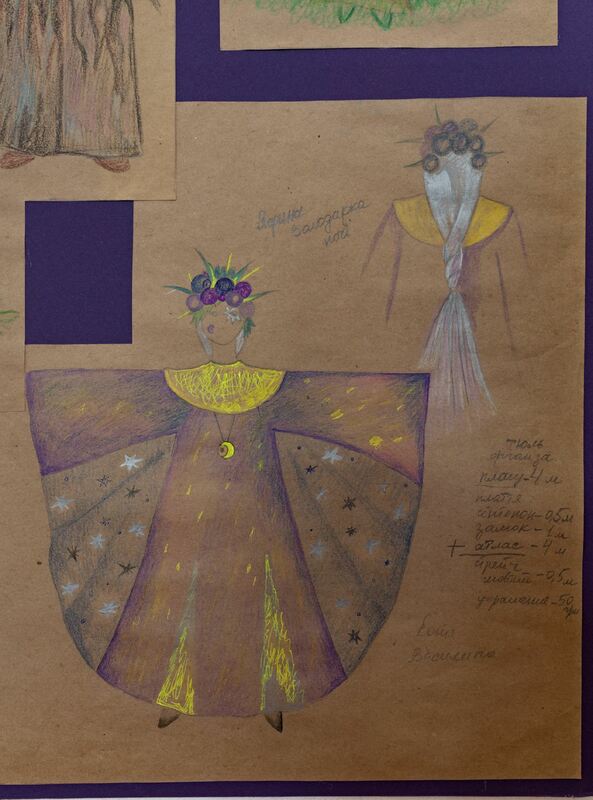 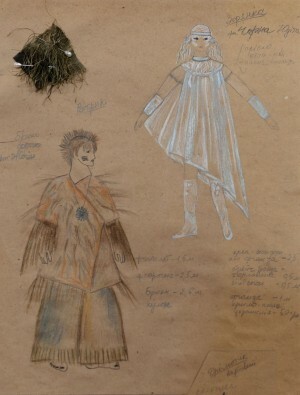 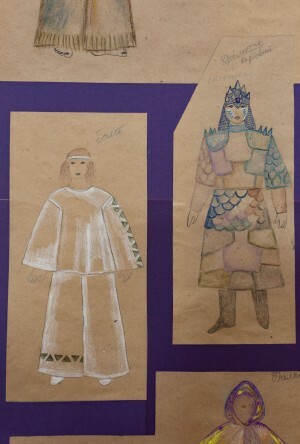 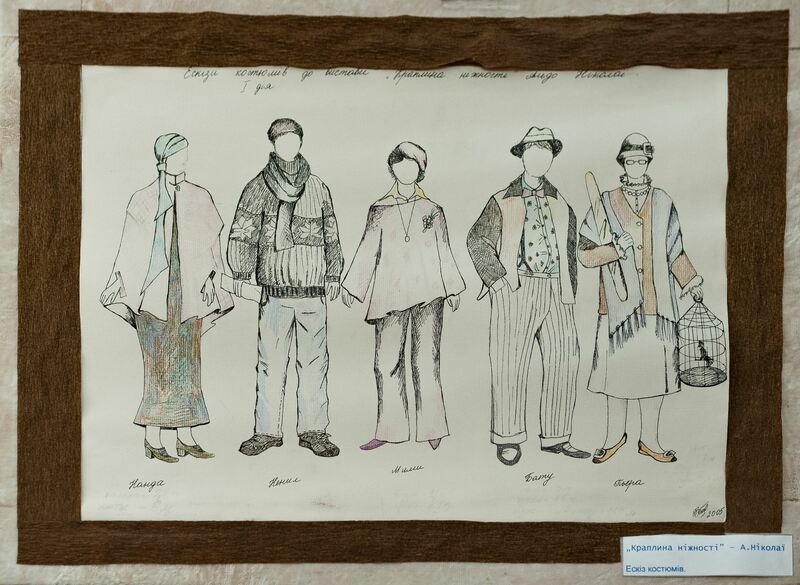 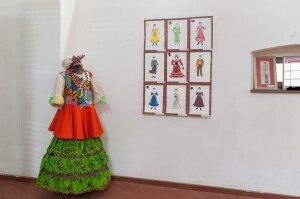 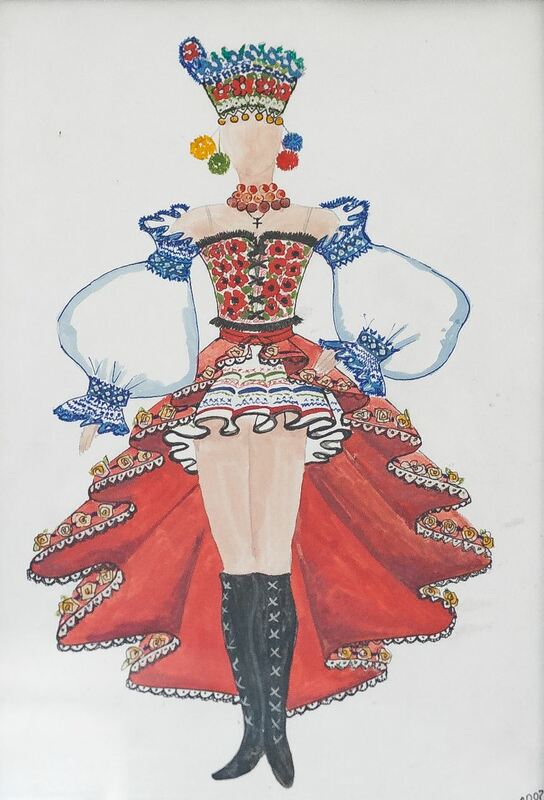 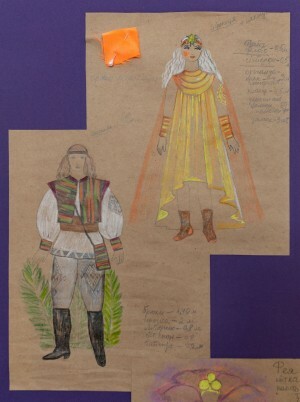 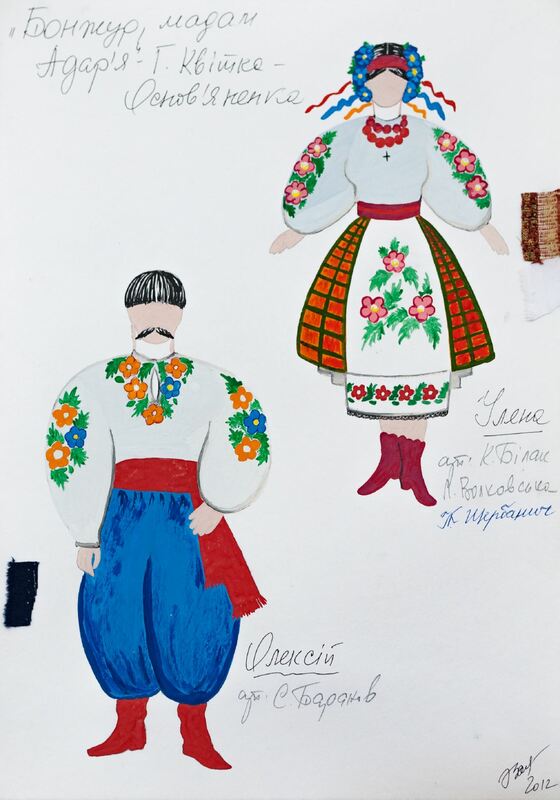 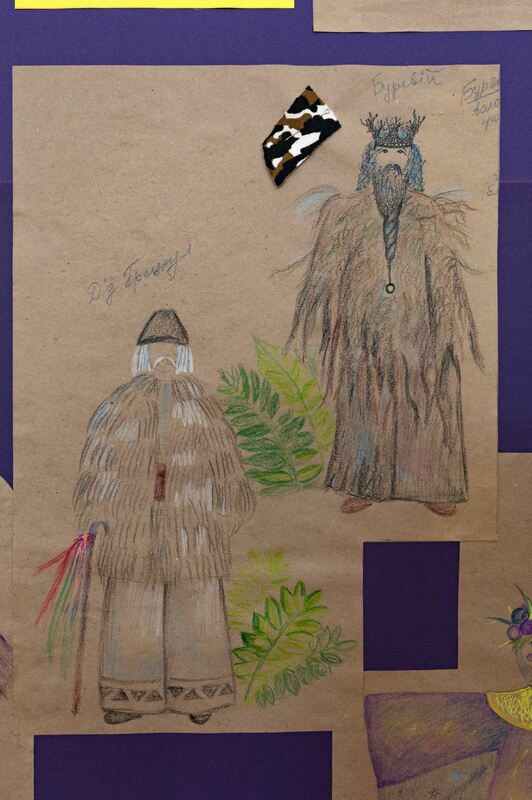 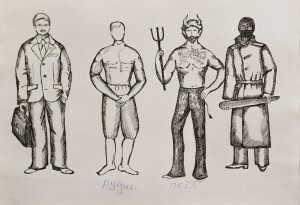 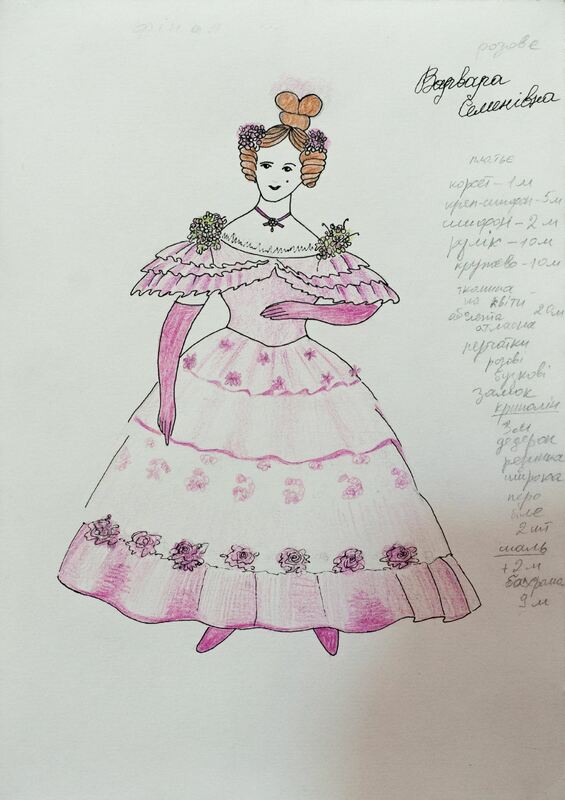 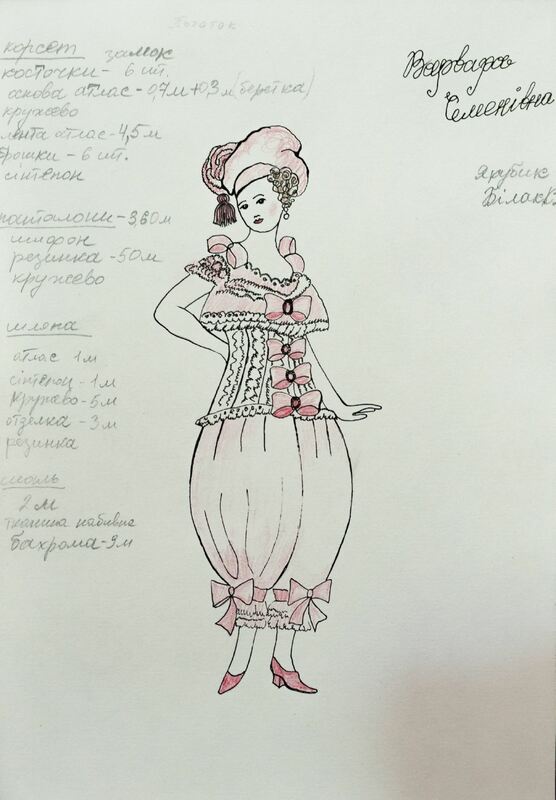 In general, the viewer is offered to see the models of scenery and costumes of about 15 performances, for example: "Orpheus and Eurydice", "Nazar Stodolia", "Uncle with Wings", "Matchmaking on Honcharivka", "A Step from Love" and so on. 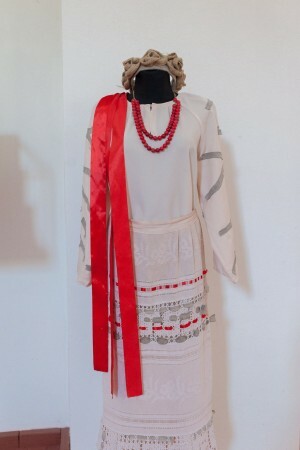 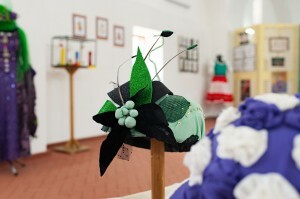 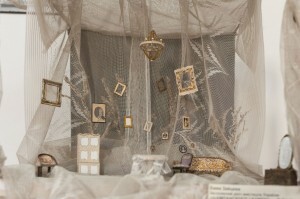 As repeatedly noted by her colleagues, Emma Zaitseva likes to use soft decorations – tulles, drapery and the like. 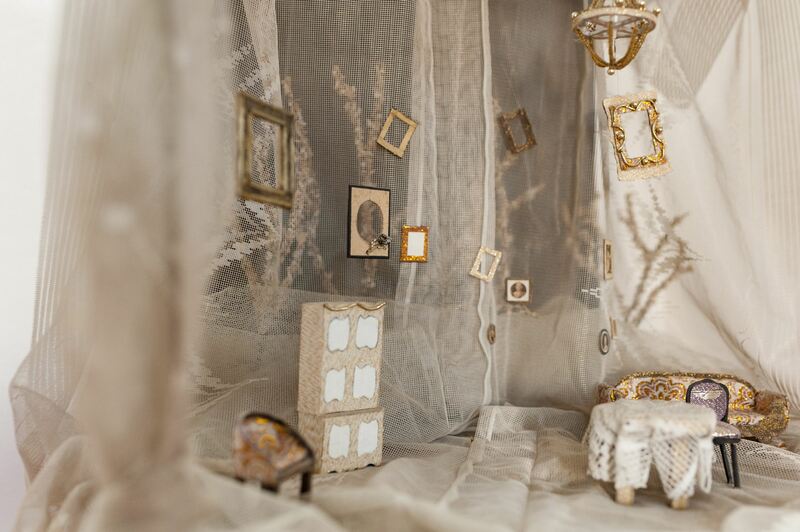 "I create each my work, like the last one," the artist admits. 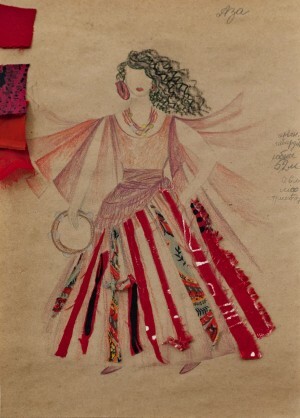 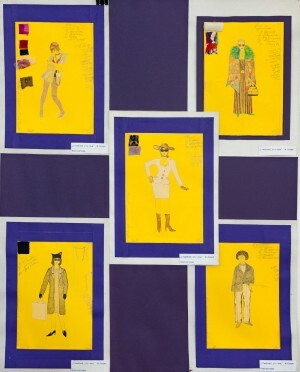 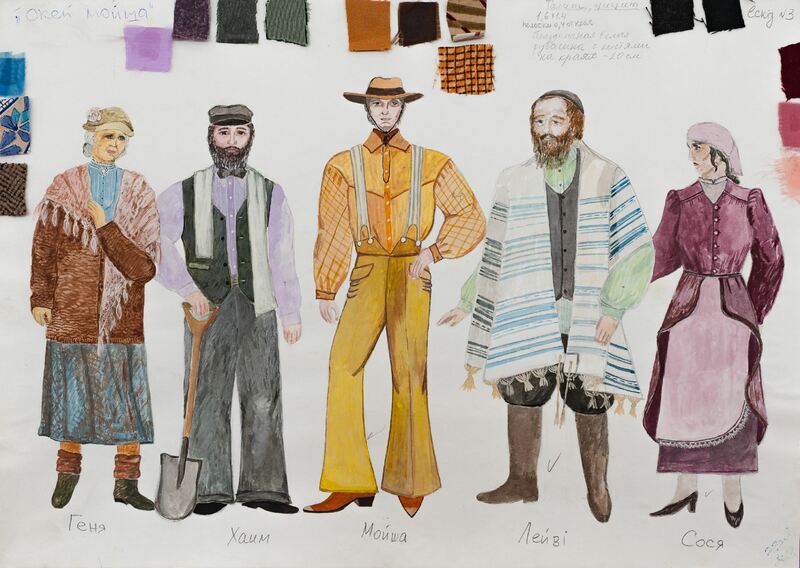 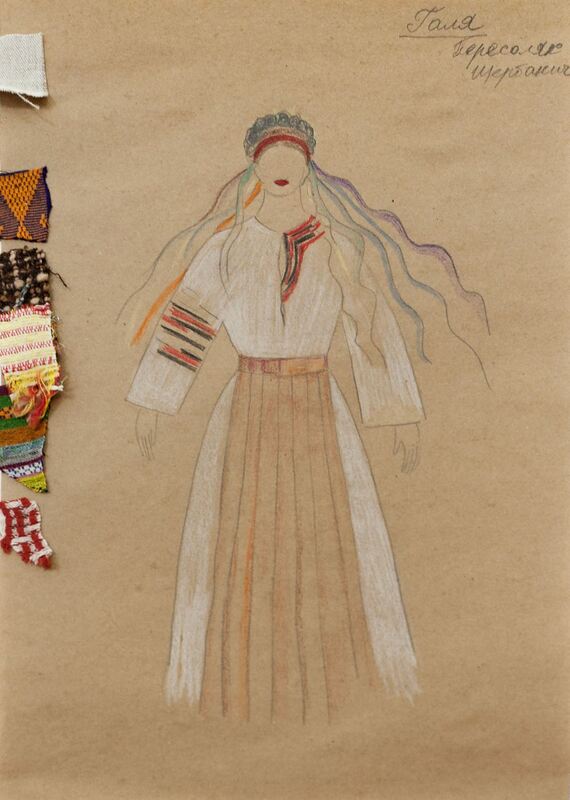 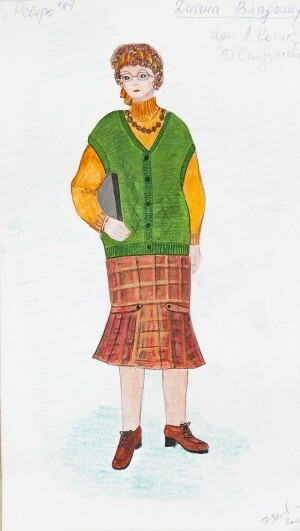 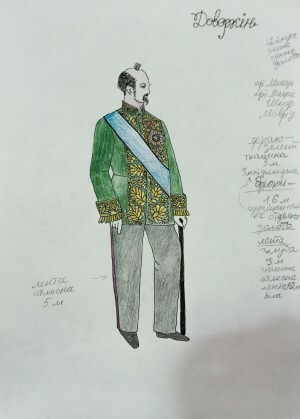 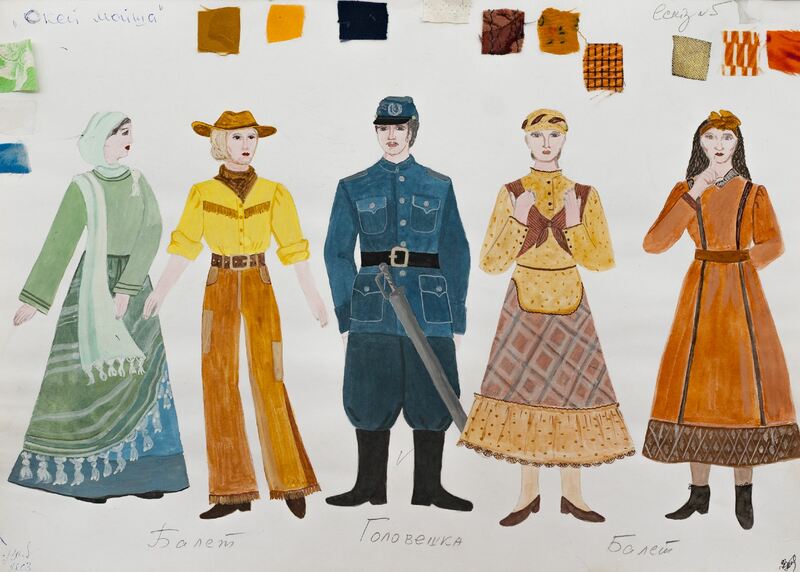 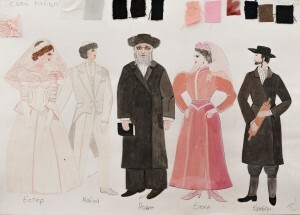 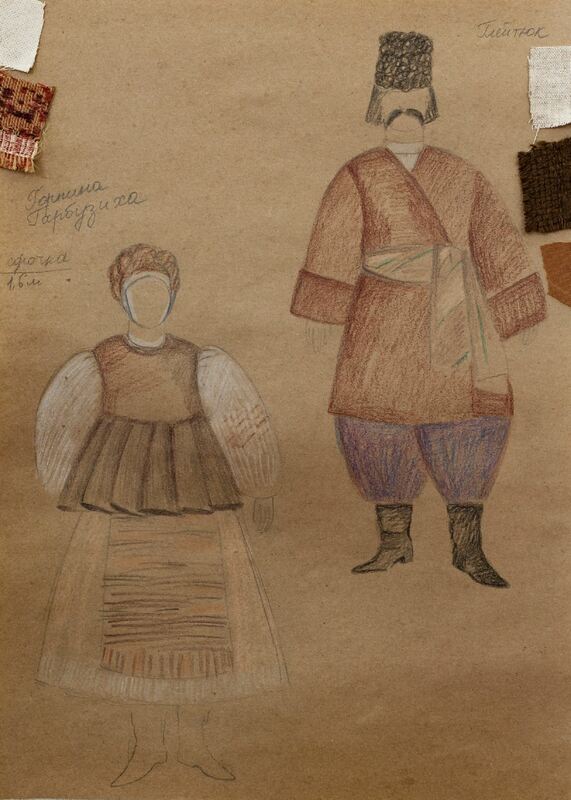 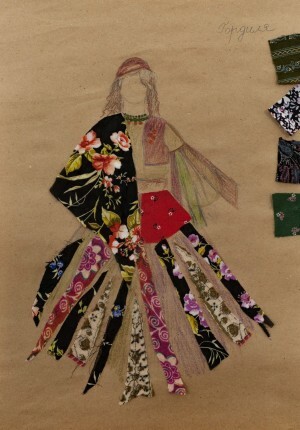 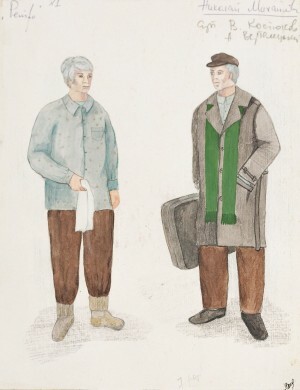 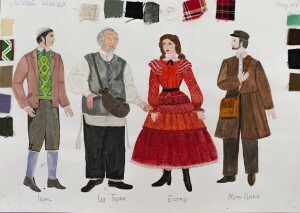 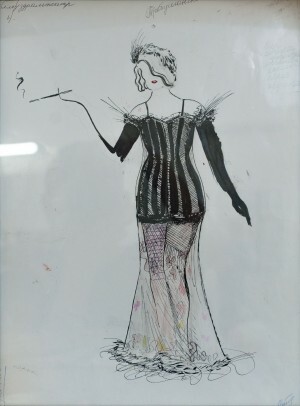 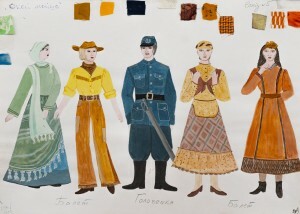 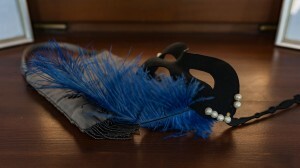 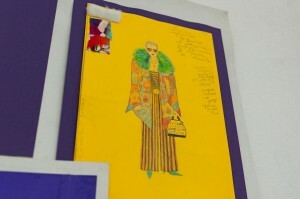 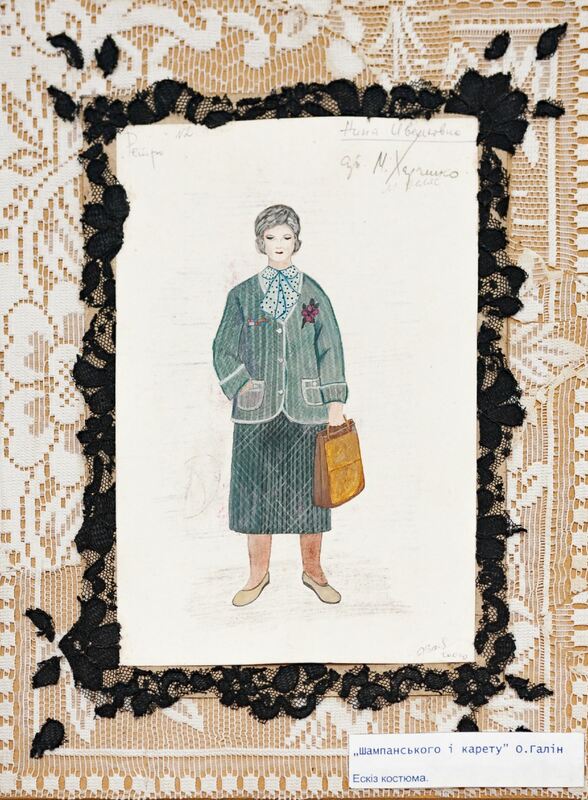 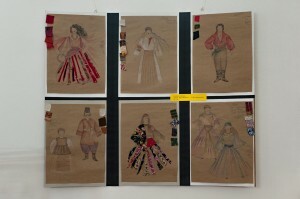 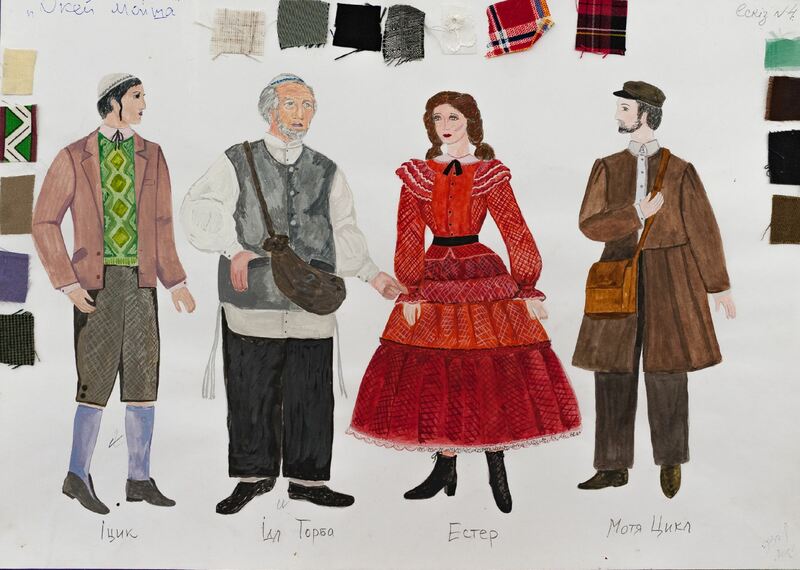 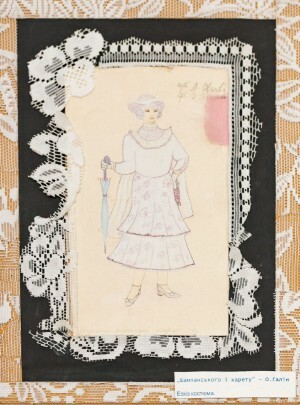 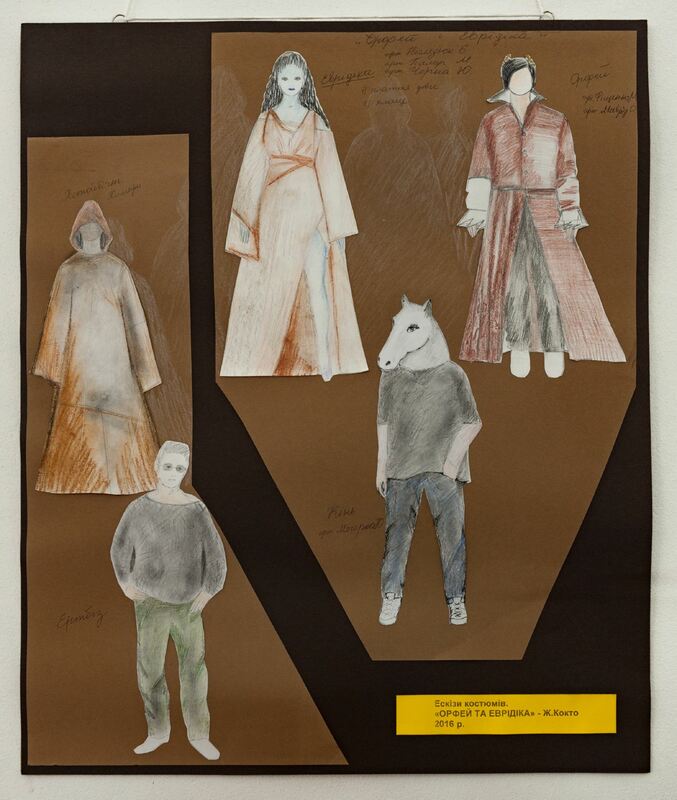 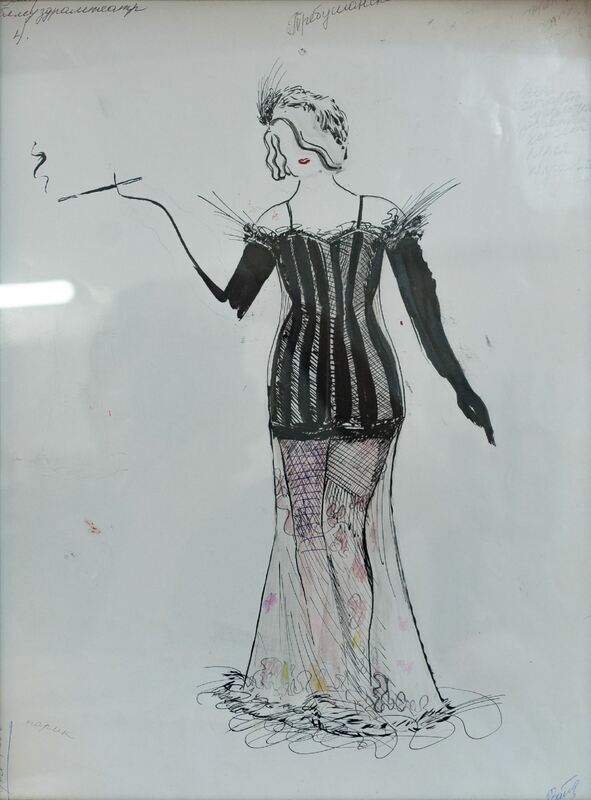 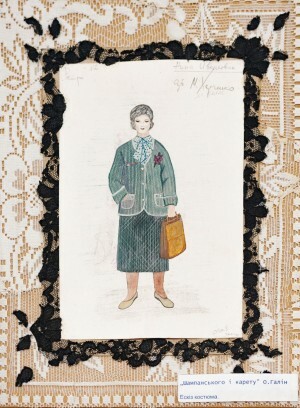 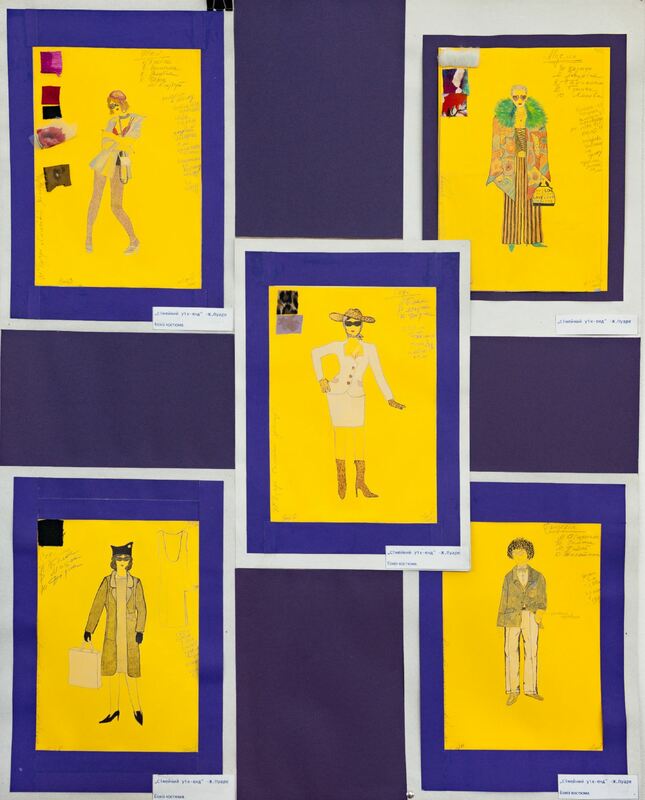 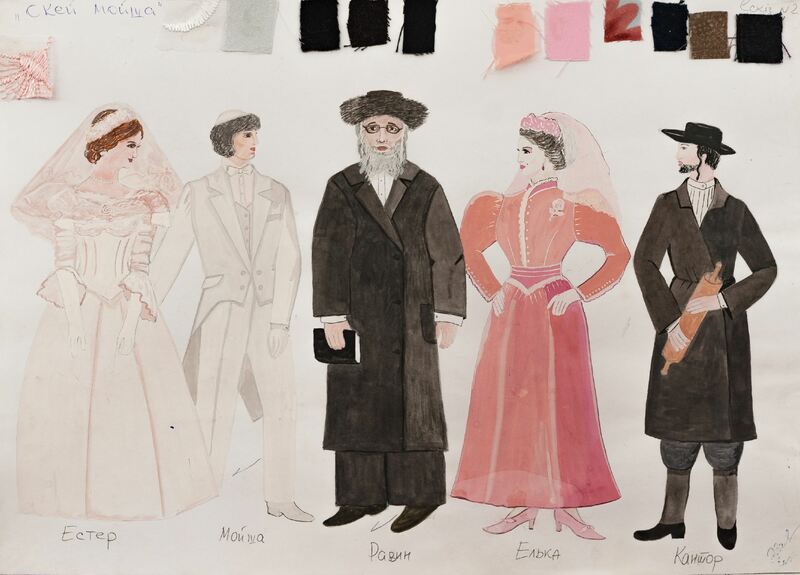 The process of creating entourage for a performance is quite long: first, according to the artist, she speaks to the director in order to understand his vision and desire, then she reads the play. 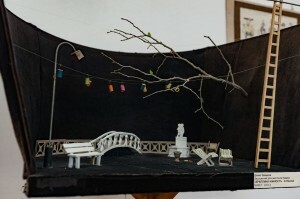 “I pass it through myself, formulate my own view and embody my experiences in the scenery”, the artist says. 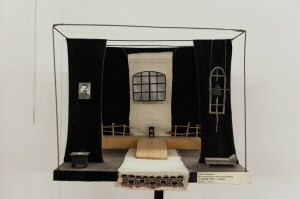 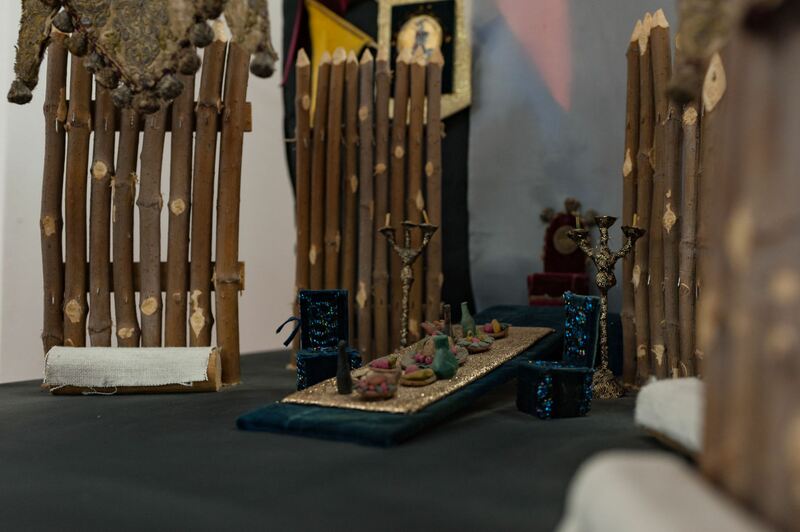 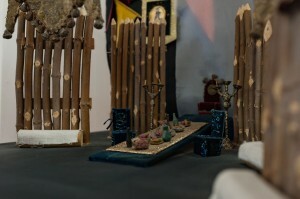 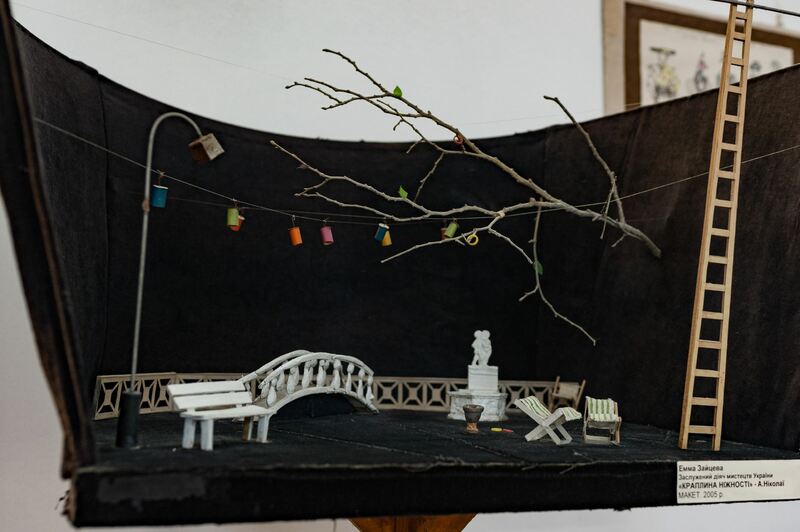 “If a director trusts me, I am ready to lead him – then the result often exceeds my expectations.” The whole workshop creates an atmosphere of performances out of dozens of sketches and scenery models. 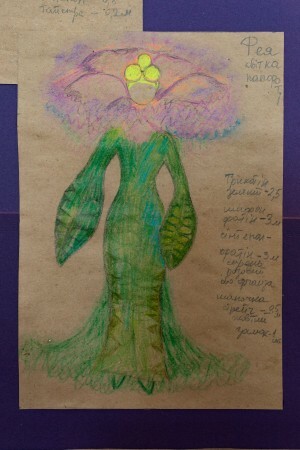 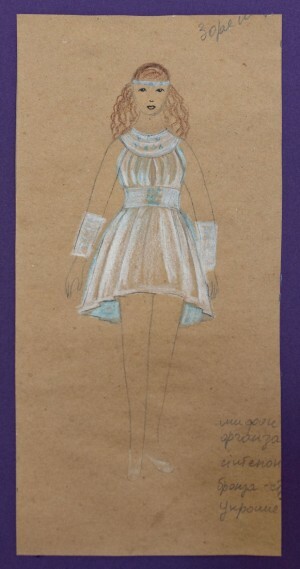 It is necessary to work on each sketch for a long time until the things on paper satisfy the artist's imagination. The exhibition of Emma Zaitseva, which, by the way, is held as part of the celebration of the 15th anniversary of the Transcarpathian newspaper "Nedilia" will last until 6 June 2018.